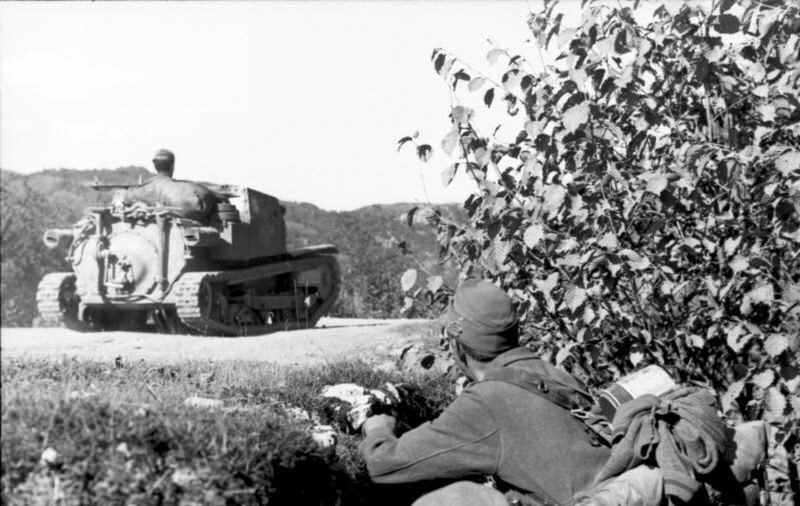 31 Reggimento Carristi is created on 15 july 1937. 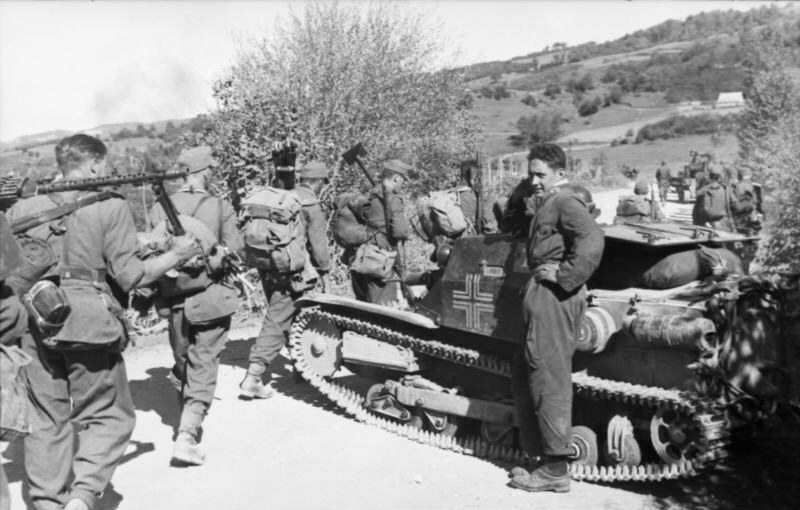 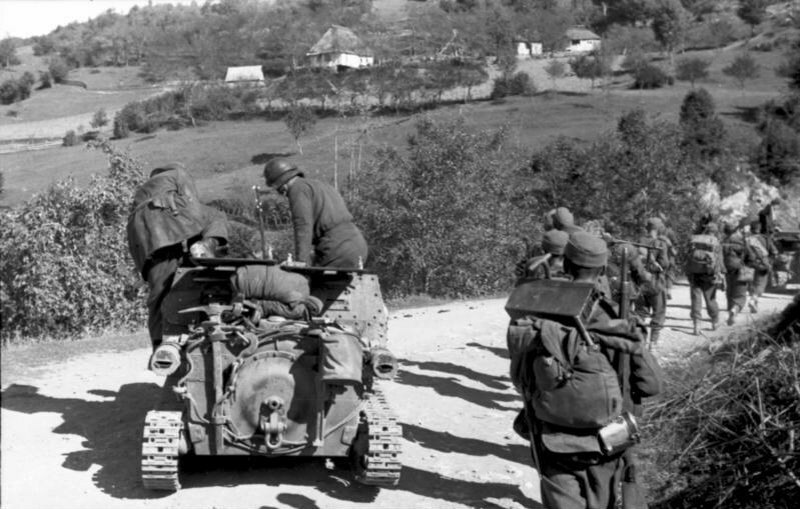 After further organic transformation, on 3 April 1939, the regiment is framed in the Armored Division "Centaur" and transferred to Albania in October 1939, fought in Greece in October 1940 and Yugoslavia on april 1941. 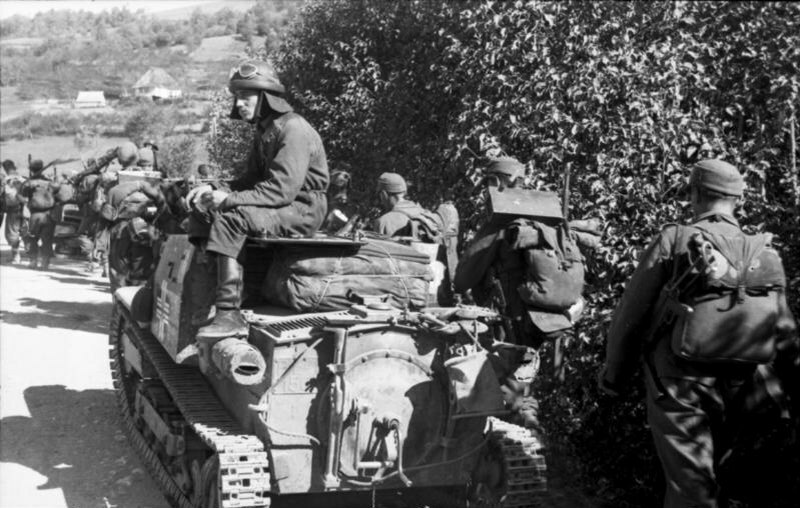 Transfered to Montenegro in July 1941. 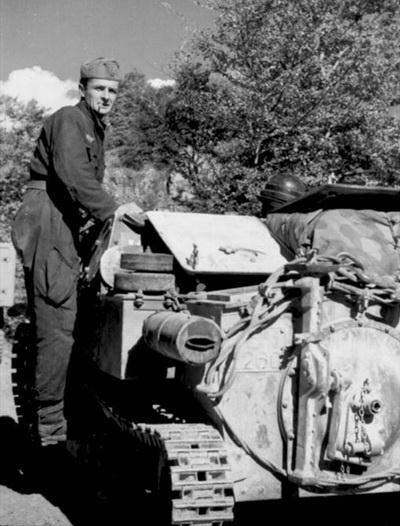 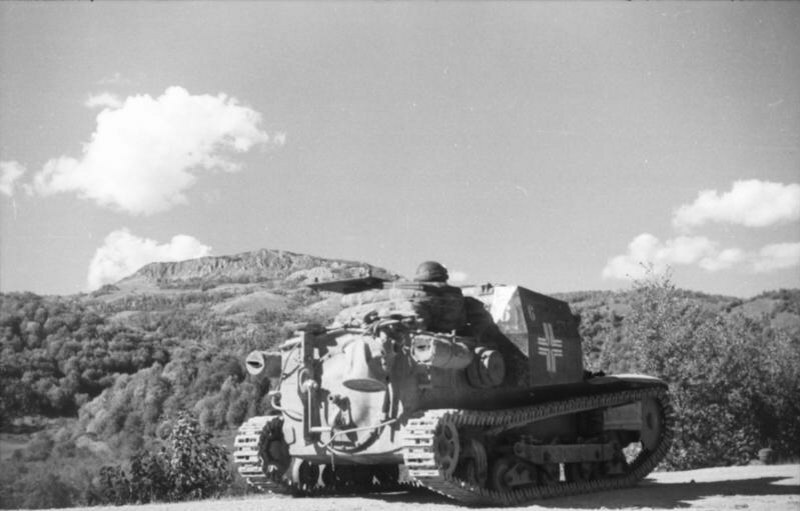 In beginning of 1943, III Battaglione have 40 L3, some L3 lanciaflamme, 8 Fiat 3000 and some autoblinda. 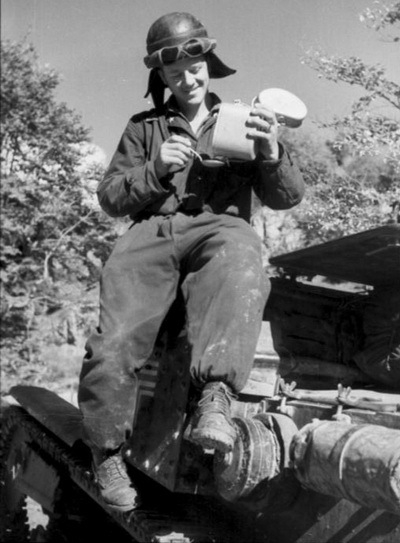 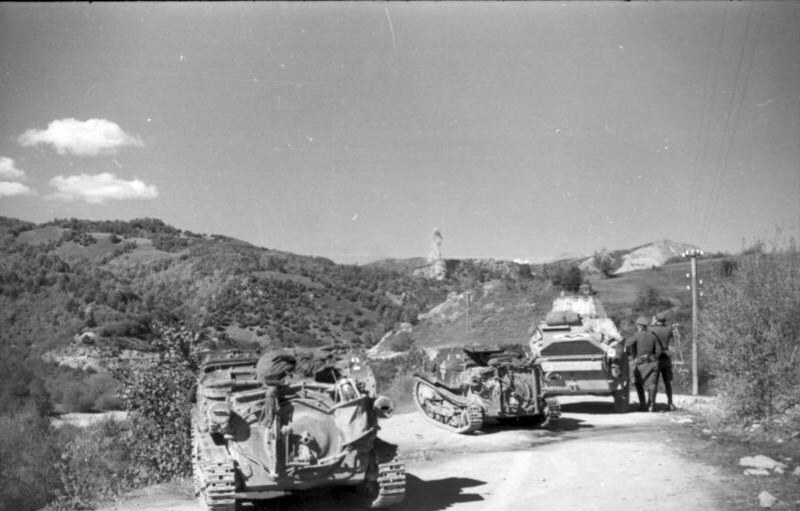 After the armistice of September 1943, parts of III Battaglione continued fighting with the germans. 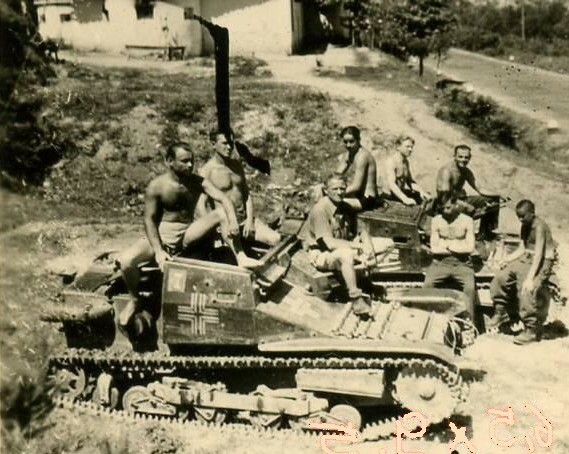 This unit was rarely used during the subsequent stay in Montenegro. 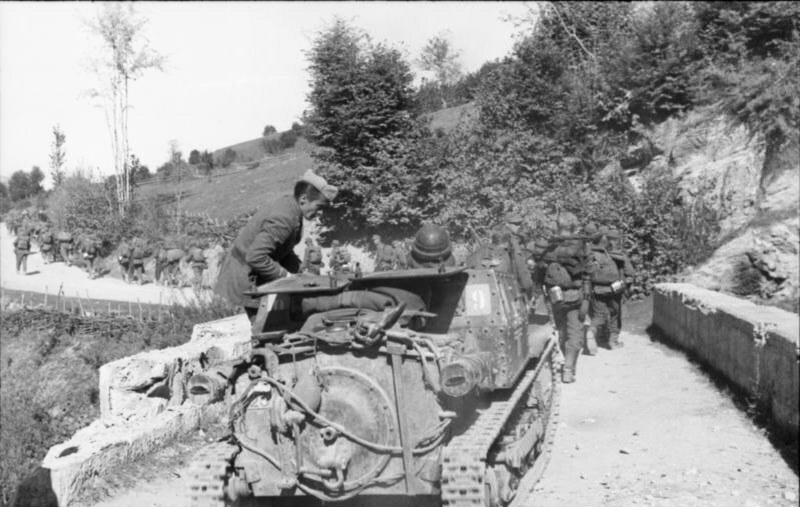 II Battaglione/ 31 Reggimento Carristi have L6 and CV33-35. 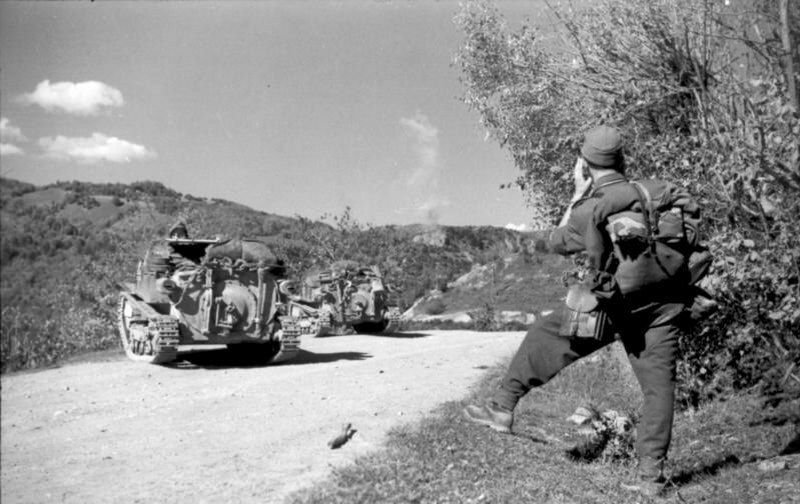 CV33-35 from III Battaglione/ 31 Reggimento Carristi in action with 118.Jager-Division in Montenegro, Automn 1943.